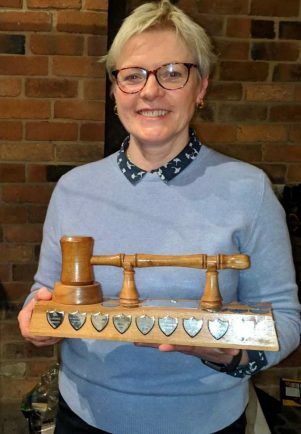 A BROMSGROVE Speakers Club member has won an award for her public speaking ability. Libby Robotham joined other members from across the West Midlands when she picked up her Speech Contest Award at The Bell, near Belbroughton. Libby said: “I want to say thank you to everyone for the support and encouragement I’ve received since joining. Although competitions are an exciting challenge, they’re a small part of the club’s activities. The main focus is on helping members to develop their skills for speaking in public. It could be a formal speech at an event, a workplace presentation, a wedding speech or even a job interview. In addition to speaking talent, two Bromsgrove members demonstrated their baking skills and brought along cakes, which were served up at the interval. Donations for cake and the sale of raffle tickets meant the club was able to donate £125 to Bromsgrove’s Primrose Hospice. Head to www.bromsgrovespeakers.org.uk for more information about the club and its meeting times.